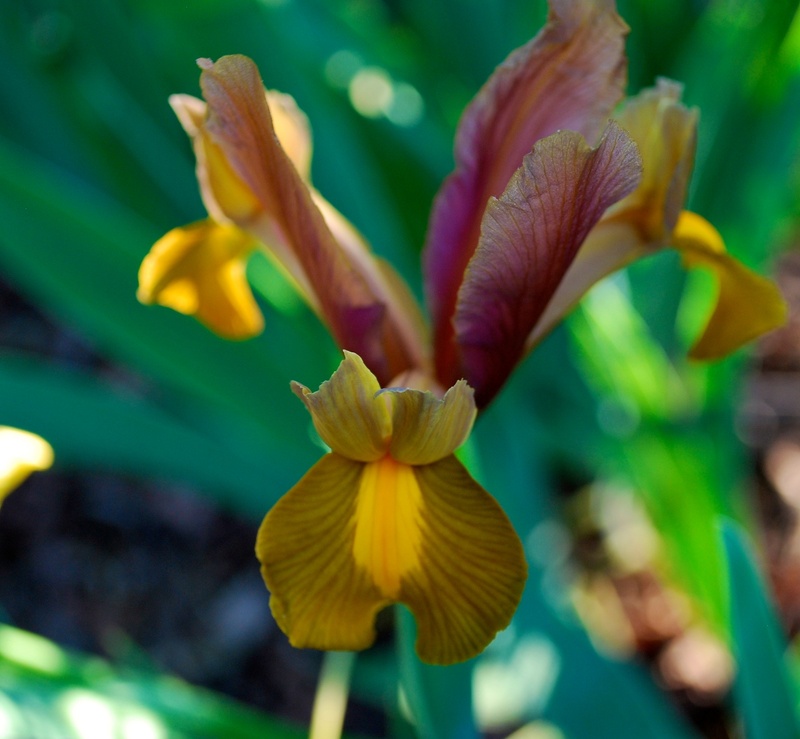 He stood next to me looking out at our garden and said, “I want a riotous garden – like this.” He pointed specifically to the riot of irises and butterfly bush all grown over one another, and I see the dividing of bulbs that will soon come. My husband and I built this raised garden when we were still newlyweds, adding stone and dirt and mulch and plants around an old oak tree that needed more dirt for its roots to thrive. Some areas have grown in better than others. Beginner’s luck, I think, as I happen to get some plants in exactly the right place for them to grow riotously. 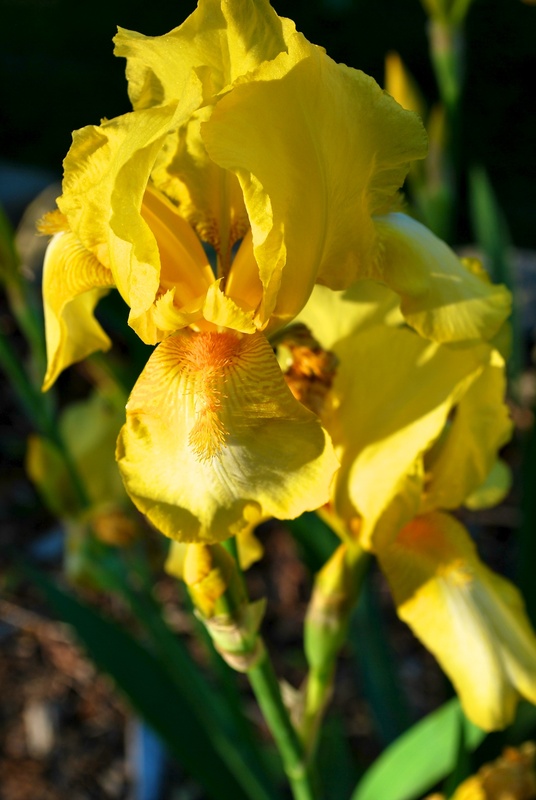 Like the irises, mostly from my mother’s garden – purples, whites, yellows and sherbet-y combinations – that have taken off this year and created a bounty of blooms. There are other spaces, though, harder to plant. 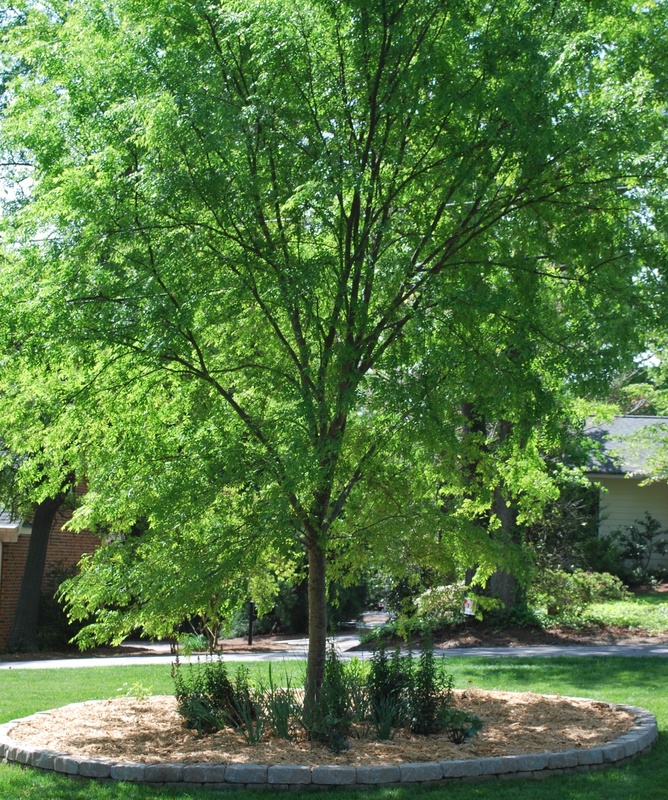 They’re closer to the oak tree or they don’t get quite enough sunlight for sun-loving plants but too much sun for shade-loving ones. They also happen to be on the side of the garden closest to the house, and that’s where my husband says he wants to see the riot spread, where he wants to see less bare mulch (and random weeds) and more of what’s happening in the rest of the garden. He wants this empty space filled: irises; butterfly bushes and other shrubs; snapdragons like the ones I’ve planted everywhere else, surprising annuals that will perennialize here for a few years. This is the third year – and probably the best, possibly the last – for this particular batch of scarlet snapdragons, and I know I need to plant more little ones this year to keep the riot going in future years. So I’ll buy a flat or two of them in the coming weeks and fill in where there’s room and hope for a summer that’s not too hot or too dry. 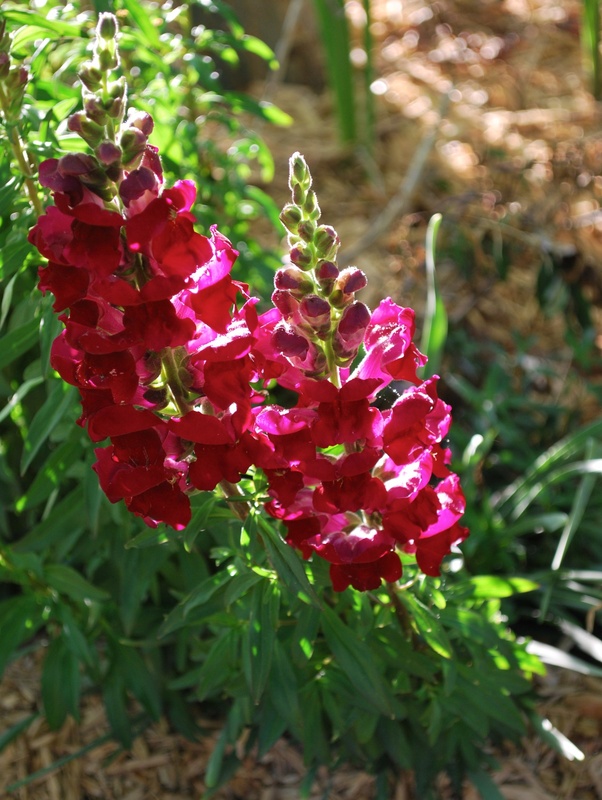 I only plant the scarlet snapdragons with their leaves that turn to purple-green as they age. 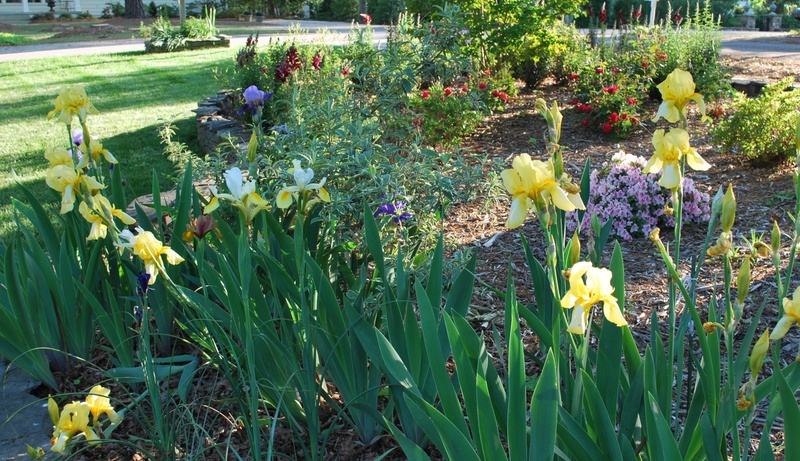 And I’ll begin dividing and planting the irises all over the blank spaces, remembering the day my mom brought a bag full of bulbs, and we worked side-by-side planting them in one small space. As I work, I’ll remember her words once spoken long ago, “Gardening is my therapy.” And I’ll think of my husband’s need for a therapeutic outlet during his time off from running. Apparently, my husband’s way of healing mind and body during a running injury is to give me more blank canvases in the yard to fill with the riot of flowers we so love. And I smile to think of the words in Song of Solomon: “My beloved has gone down to his garden” (6:2). In the weekends he has taken off from running, he has built two new garden spaces for me, telling me I don’t have to fill them up but also telling me he wants a riotous garden. Doesn’t he know that giving a gardener a new garden is like giving an artist a blank canvas? Of course I will fill it up. Not all at once, but, ah, the possibilities of what to plant. All those new places for beautiful blooms I didn’t have any room for before. The planning and picturing and imagining and dreaming all delight me. I wonder if those of us who love to garden, who love to have our hands smelling of dirt by the end of the day in spring, are we trying to capture something holy and riotous? Or is it all about some sort of psychological/physical benefit? A “whole body” therapy of nature. God knew from the very start that we would need a place to dig, to sow, to work. Right after creating man, God planted a garden (Genesis 2:8). I’m guessing it was a riotous, beautiful place. I wonder, too, whether the garden in front of the empty tomb bloomed riotously that first Easter morning. Do you imagine the flowers there, in such proximity to the miracle of the risen savior, tried their hardest to look their very best? To bloom more fully than before, to reach up as tall as they could, to welcome Christ into their midst? How about you? Why do you garden? Do you have a favorite riotous plant you recommend? I’d love to hear your ideas for what should go in some of our garden’s blank spaces. What additions would you suggest to keep our garden riotous? This entry was posted in flourishing tree and tagged butterfly bush, Easter, garden, Garden of Eden, nature, snapdragons, Spring, trees by hopesquires. Bookmark the permalink.